The Full Pure System is identical to the Black Mat System but it is offered in 10 different colors. 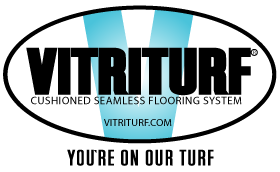 A major attribute of the Full Pure System is its water permeability. There is no evidence of standing water when this system is properly installed. Logos can be installed as an integral part of the track surfacing.